Multi use organiser tote that folds flat like a conventional tote bag but has strong reinforced sides along with a reinforced base for added structure and strength. 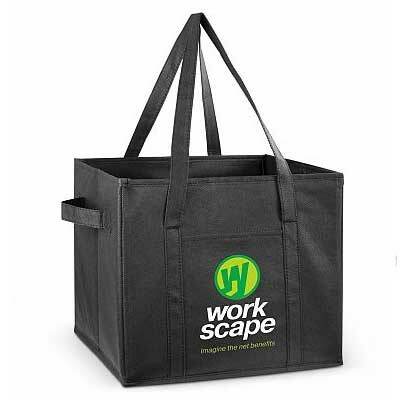 It is manufactured from 80gsm non woven material and has two sets of carry handles and a front slip pocket. 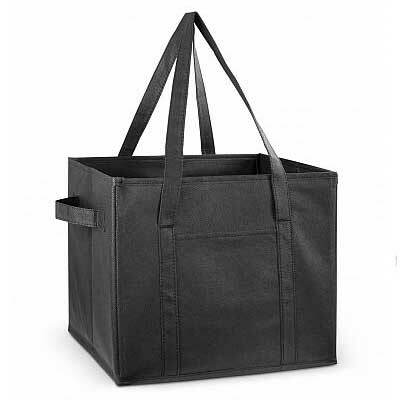 Cargo Tote is perfect for organising a storing a wide range of items in car boots, sheds, garages etc. H 175mm x W 340mm x Gusset 240mm (excludes handles). Handle Length: 610mm.